“Valediction” – Peggy faces the full fury of Leviathan, as Howard Stark makes his return in the explosive season finale of “Marvel’s Agent Carter,” TUESDAY, FEBRUARY 24(9:00-10:00 p.m., ET) on the ABC Television Network. Guest starring are Lyndsy Fonseca as Angie Martinelli, Ralph Brown as Dr. Ivchenko, Dominic Cooper as Howard Stark, Bridget Regan as Dottie Underwood, Walker Roach as “Captain America” Radio Actor, Erin Torpey as “Betty Carver” Radio Actor, Ralph Garman as Radio Announcer, Dajuan Johnson as Officer Pike, Glen Taranto as Detective Prendergast, Kevin Ashworth as Agent Fisher, Patrick Smith as Agent Butch Wallace, Matt Raimo as Reporter #1, Ward Roberts as Reporter #2, John Prosky as Senator Walt Cooper, Gerald Webb as Prison Guard, and Christopher Poehls as Ground Crewman. “Valediction” was written by Michele Fazekas & Tara Butters and directed by Christopher Misiano. 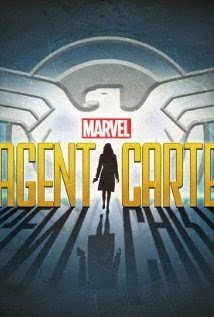 “Marvel’s Agent Carter” is broadcast in 720 Progressive (720P), ABC’s selected HDTV format with a 5.1 channel surround sound. A TV parental guideline will be assigned closer to airdate.